Who better knows my medical history than myself? Your health is the probably the most important project you’ll ever do. But how can you make a good stab at any major project like your own personal health without the relevant information?
" Who better knows my medical history than myself? " 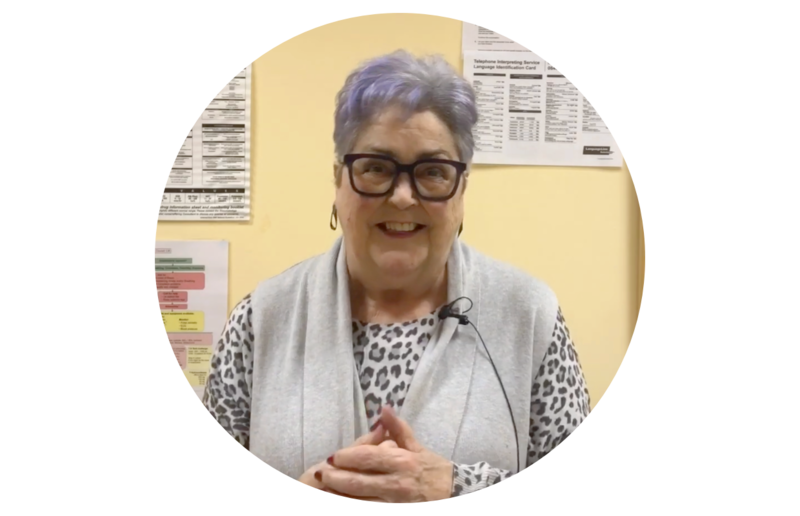 We chatted to patient empowerment advocate, Ingrid Brindle, about how owning her own personal health record and online GP record access has helped transform her health data into interpreted information so she can get a real, full picture of her health available in her hands. I’m Ingrid, and I’m the Chair of the Patient Participation Group at Haughton Thornley Medical Practice in Hyde, Greater Manchester. I’m hugely passionate about empowering patients to better manage their health, so they can keep themselves well. Unfortunately, I have a lot of health issues. I have something called ankylosing spondylitis, which is a condition where my spine and other parts of my body become inflamed and actually fuse together. My ribs are completely fused, my hand bones and feet are trying to bind together – I’ve got no movement. It’s a syndrome that also gives me a lot of other health issues too. For example, atrial fibrillation which is a heart arrhythmia and can be quite serious. My heart’s doing 140 beats per minute. I’m going to have a pacemaker which will hopefully set me in the right direction. I also have inflammation inside my eye – called iritis – resulting in the loss of sight in my left eye. With all these conditions, there’s a lot of facets of information that I need to organise and bring together. I wouldn’t be able to manage my health properly without having access to all my health information. Often in hospitals, their record keeping is terrible, and I have a lot of consultants who don’t talk to each other – the NHS isn’t connected! So, with Evergreen Life, I can have the information to hand when I go to the outpatient or clinic where they don’t have my whole history. Being able to go online through the Evergreen Life app, I can look at all my consultant letters, test results, consultation notes with the doctor, referrals out… It allows me to get a real comprehensive picture of what’s going on with my health and helps me manage it better. I discovered Evergreen Life through the practice where I’m a patient, Haughton Thornley. It’s a fantastic practice where they’re championing online record access to everyone. At one of the Patient Participation Group meetings, Dr Amir Hannan came into to speak to us about the different ways to access online records. He’s very keen to drive the online services through our practice website. What I particularly like about the Evergreen Life app is how user friendly it is in comparison to other apps I’ve used. I wanted to start building a personal health record because I have a very difficult set of health challenges and it’s difficult to keep track of things. Not only did I want to be able to read what’s been said in consultations, but I wanted to be able to actually understand and ask questions. I hate being dependent! I don’t want to be dependent on ringing the practice. If I can just click and just read something, that’s great! I don’t want to be hanging onto the phone to speak to a receptionist. ‘Can I speak to somebody about this…’ It’s so much less hassle if I can just have the information myself, whenever and wherever I need it. Having all my information available to me gives me an opportunity to think about things – so I become an active participant in my own healthcare decisions. It’s a shared approach, rather than all the decisions being made by the doctor. My online records give me a full overview of what’s going on. It really helps me to understand the individual issues. Of course, things in consultant letters aren’t always quite right. It gives me a marvellous opportunity to correct this and of course, ask questions if I don’t understand, so I’m engaged with my health and the decisions being made. A little while ago, I had a blood test which showed my inflammatory markers as higher than they should be. I got the results back in the app, and I noticed they were high. But oh yes, I was just coming to the end of a throat infection at that point. The doctor rang because he noticed the figures being higher than usual, and he said we’re going to need to change your anti-inflammatory medication. But because I’d had a chance to reflect on my results myself, I suggested that it wasn’t necessary – as I knew that I just had a throat infection. He then suggested antibiotics. But, I actually felt I was over the infection. He then asked me what I thought we should do. So, I suggested we wait and see how it goes for a few weeks and re-test. So, because I’d had time to think about the values, we didn’t need to risk changing medications. Without the information available to me via online record access, we may have gone down a different road. You can have the data but it’s not really information, unless you’ve got the full picture. It needs to be interpreted. I’ve got information that the doctor doesn’t. They’ve got a lot of information, but I have more that can help inform my treatment plan. Who better knows my medical history than myself? Having this record access can help with mutual decision-making, so it’s not just the doctor telling us what to do. It’s more about the patient actually having a lot more control of their health and feeling informed to do so. The average patient spends about 1 or 2 hours a year in front of a clinician, so for the rest of the 365-ish days, they’re making their health decisions themselves. ‘Do I go upstairs or use a lift? Have a gin or a bacon sandwich?’ You know, all the things that actually make you healthy or unhealthy, you do away from the practice. Patients make themselves well. How can you possibly take a stab at a project like your ‘personal health’ without the relevant information? What’s the point of my information being on someone else’s cloud – I need it! For example, there’s ‘the France story!’ So, if my atrial fibrillation kicks off, I get a couple of days warning to know if I need to go to the hospital. I was in France and my heart 'kicked off'… so I went online to retrieve my health record, downloaded my recent cardiology letters, got a friend to translate them, and went to the French-speaking hospital. It was all in there for them to read and make decisions based on information that otherwise would’ve been miles and miles away. Patient empowerment and personal health record ownership demands a cultural shift within the NHS if it’s to be implemented successfully throughout all practices. My practice is doing something very different to the rest of them. It’s driven by Dr Amir and instilled throughout all the staff, on the desk and every patient gets online record access when they register. It wouldn’t be possible without this motivated attitude. The technology is there. The information is there. It just needs joining up, but it won’t be joined up until we have that cultural shift in attitude. We need a cultural shift so that all patients and their family are seen as part of the ‘same team’ as the clinicians, all wanting the best care. 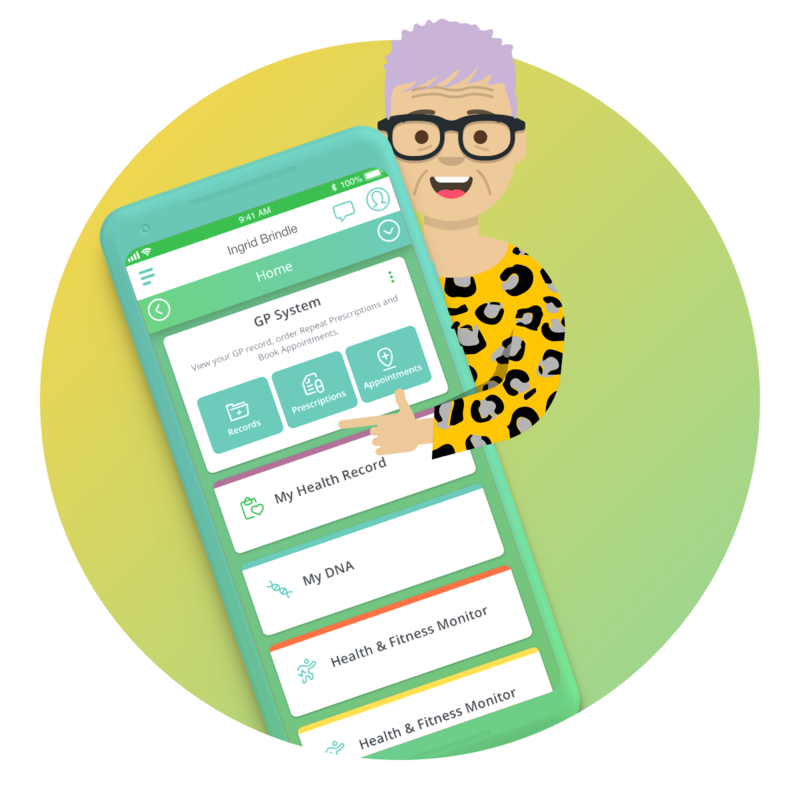 If you want to take control of your health and better manage your conditions like Ingrid, download the app today and get access to your GP records – so you can start building a full picture of your health. This press release was distributed by ResponseSource Press Release Wire on behalf of Evergreen Health Solutions Ltd in the following categories: Health, Consumer Technology, Medical & Pharmaceutical, for more information visit https://pressreleasewire.responsesource.com/about. Ingrid with her Evergreen Life app!